Tasks will include the manufacture and installation of bespoke furniture and the lining of comparments in GRP and aluminium craft. Candidates should be competent in the use of woodworking machinery and tools and ideally will have some experience of working with materials such as plastics and composites. Knowlage in the use of polyester and epoxy resins in laminating and bonding would be advantageous as would experience in the boatbuilding industry. Applicants from non-marine backgrounds, such as bench joiners or finishing joiners will be considered. The successful candidates should be physically fit, highly motivated, have good organisational skills and be capable of working without supervision. A competitive remuneration package is offered including a company pension scheme. Please apply by email to marine.services@holyhead.co.uk enclosing your current CV. Duties will include the installation and maintenance of electrical components and systems from 12v DC to 415v AC throughout all aspects of commercial workboats, pilot boats and patrol craft. Experience in the installation of navigation and communication systems and knowledge of CAN Bus control and monitoring systems would be advantageous. 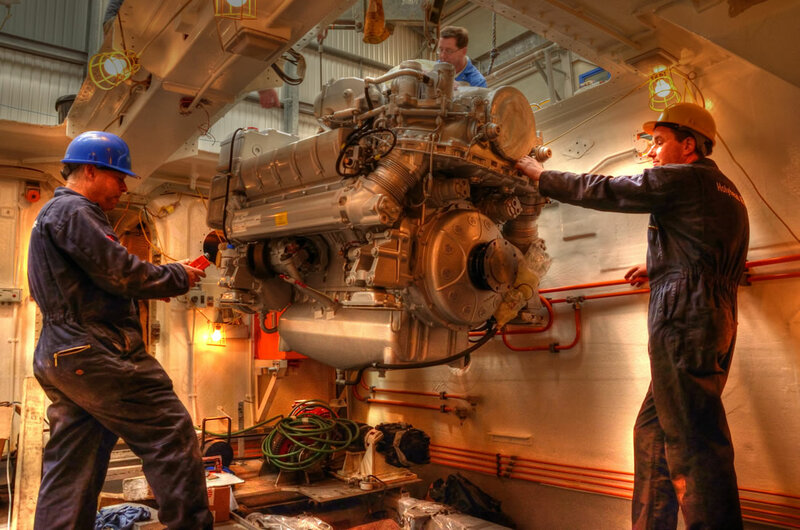 A background in the marine industry will be beneficial although not essential but, having served a recognised apprenticeship is a requirement. An appreciation of the materials and techniques required when working in the marine environment will also be beneficial. Duties will include the installation, repair and maintenance of machinery including diesel engines and systems throughout all aspects of commercial workboats, pilot boats and patrol craft. An understanding of fuel, hydraulic, and fresh water systems will be advantageous.